Define Transition Roadmaps - Knowledge of existing systems and the specifications will be used to determine how transition to EU interoperable broadband applications, services, networks and devices will be achieved across Europe. BroadMap will complete its work in April 2017. Our partnership will then continue to prepare towards a Pre-Commercial Procurement (PCP) project will be subject to a further bidding phase with the European Commission. 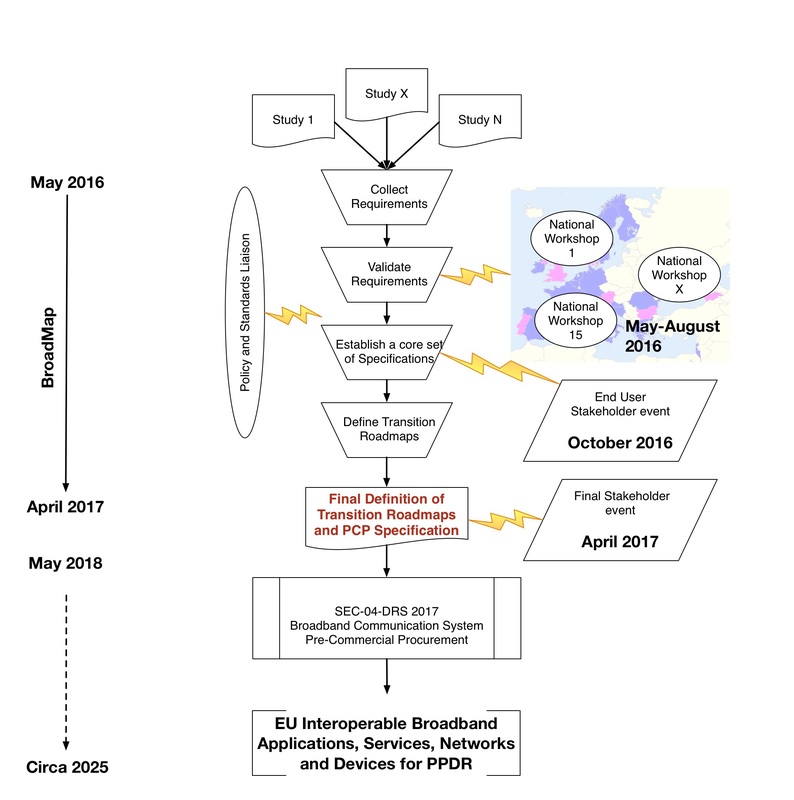 The PCP project is expected to formally procure gap-filling R&D activities on behalf of the end-user partnership with the aim to deliver the first prototypes of EU broadband interoperable applications, services, networks and devices.